There is a big shake up, a paradigm shift in learning architecture. We have moved from course catalogs and compliance to microlearning and personalization. We’ve evolved from e-learning to digital learning in one generation. What does this mean to us not only as learners, but as learning architects? In this session Conduent Learning’s Leo Blankenship and Barb Farley will take you through this evolution, discuss its impact and provide some hints on unlocking opportunities and possibilities in the new learning architecture. They also show you how to get there from developing a road map to taking the first step. Leo Blankenship is the general manager of Conduent Learning Services. In his current role, Leo is responsible for the global learning services capabilities. 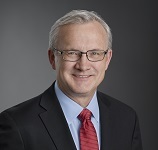 Prior to divesture of Conduent from Xerox, Leo held several COO positions at Xerox, including the human capital services capability and learning services. Leo joined Xerox from Ernst & Young where he drove the design and implementation of a common global learning strategy including a single global learning management system for 130,000 employees. He provided strategic learning and consulting services to Ernst & Young’s global affiliates as well as to a variety of Fortune 500 clients in the financial services, manufacturing, natural resources and high-tech sectors. Barb Farley is a director and delivery manager in Conduent’s Learning Services with over 20 years in the learning industry. She’s an expert in learning solutions design for learning administration and a subject matter expert in stakeholder collaboration, turning around underperforming programs and ensuring account success. Prior to divesture of Conduent from Xerox, Barb directed all learning administration services across a vast and diversified group of client accounts.